This a new development in the padlock market. 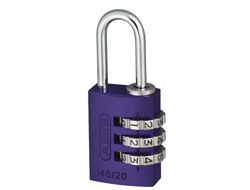 An aluminium combination padlock with a hardened steel shackle which is both lightweight and secure. Very popular for Peli Cases since they are matched in quality and very low in weight. 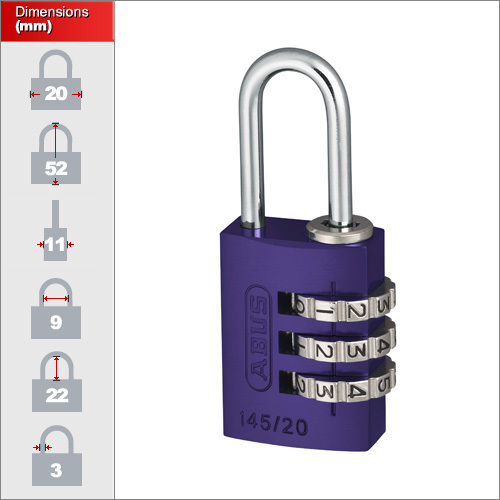 Each padlock is resettable to it's own combination and available in 9 different colours. 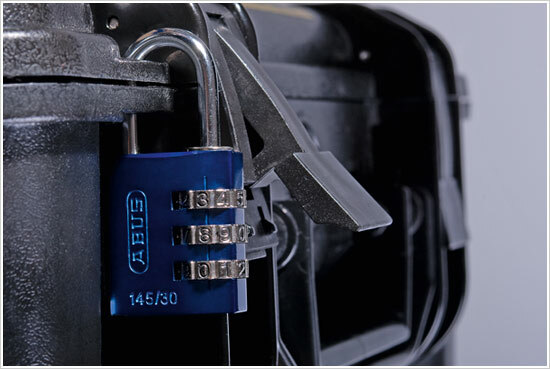 We stock the 20mm, 30mm and 40mm versions of the ABUS 145 Series padlock. The 20mm version tends to be used for luggage and laptop bags while the 30mm and 40mm are better suited to lockers, larger bags and even doors.